See the orange line? This is what the border between Pakistan & India (floodlit for surveillance purposes) looks like at night, from space. 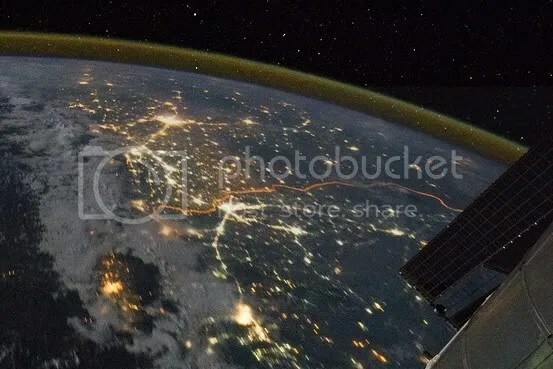 The bundles of light in the photo, which was taken from north to south, are the following cities: Delhi (top center), Srinagar (left), Lahore (center, just below the border line) & Islamabad (bottom center.) The picture, taken by the International Space Station’s Expedition 28 crew, was shot on Aug. 21 & recently released.